Images can be printed, saved, copied to the clipboard, sent to an email recipient, MS Word or any image editor. 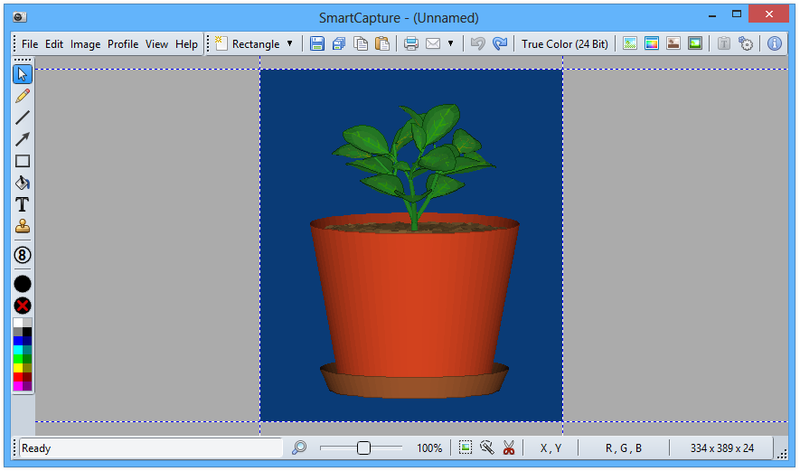 SmartCapture supports all major file formats, image manipulations (e.g. resize, flip, rotate, color replace, invert, optimized color palettes, dither, etc. ), multiple monitors, full automation, capture wizards, capture profiles, multi-level undo and much more. Many options allow the customization of all actions to individual user needs. SmartCapture is not only one of the most powerful screen capture utilities available – it was also designed to be the most user-friendly tool of all!